The Paraguayan Rally Championship continued last weekend with the fifth round of the season, the Rally de Alto Paraná (28th to 30th July). 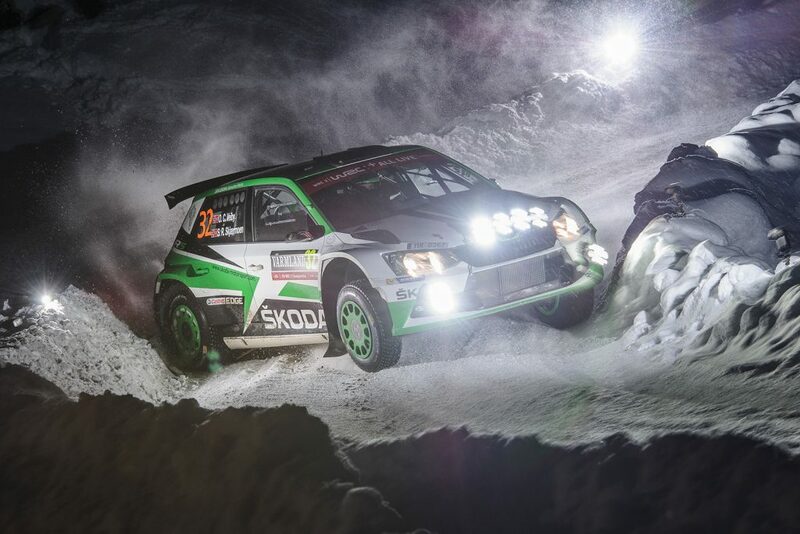 And once again there were some impressive performances from ŠKODA FABIA R5 drivers. 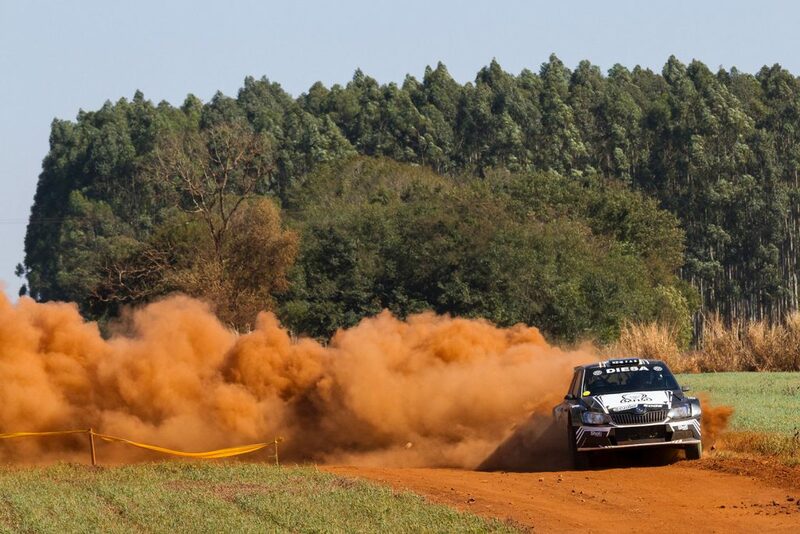 It was Tiago Weiler and his Argentinian co-driver Diego Cagnotti who claimed the victory. It was Weiler’s first win in a FABIA R5 as well as his first podium finish of the season. 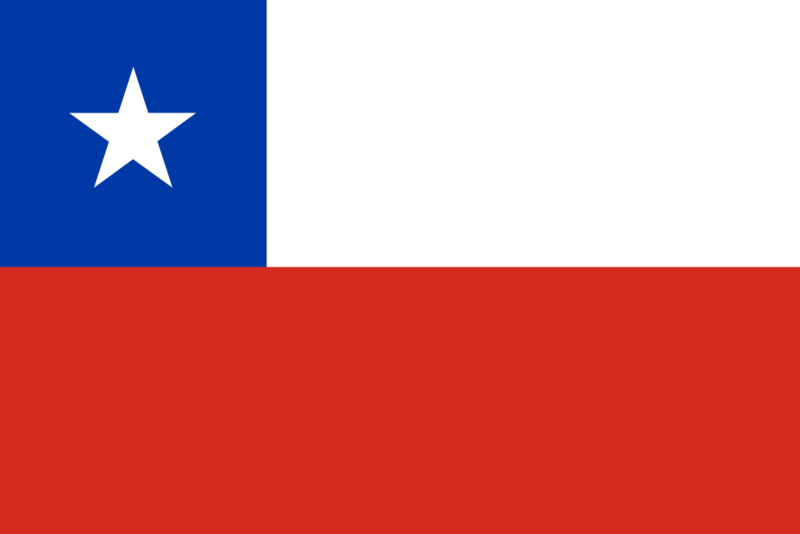 It was secured by the narrow margin as he edged out defending Paraguayan and CODASUR champion Gustavo Saba. 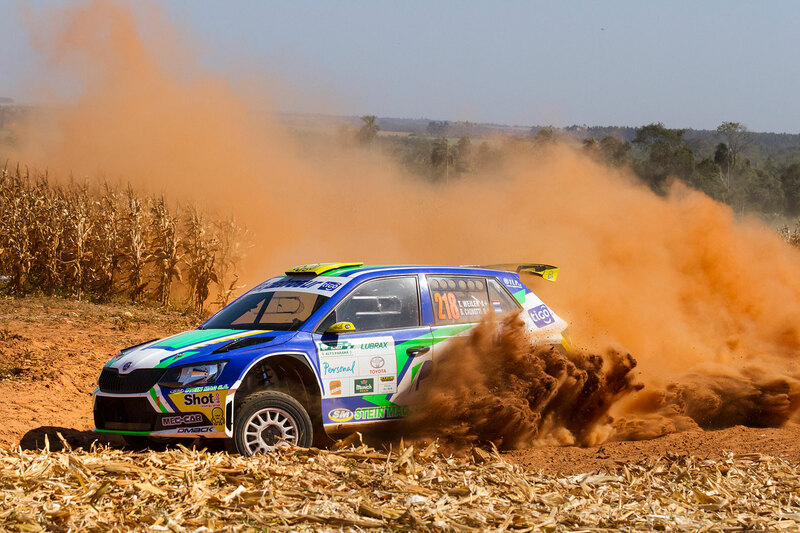 They led by 33.8 seconds at the end of the first leg and then drove a dogged and determined second leg to hold off the charge of Saba, winning eventually by a margin of just 6 seconds. 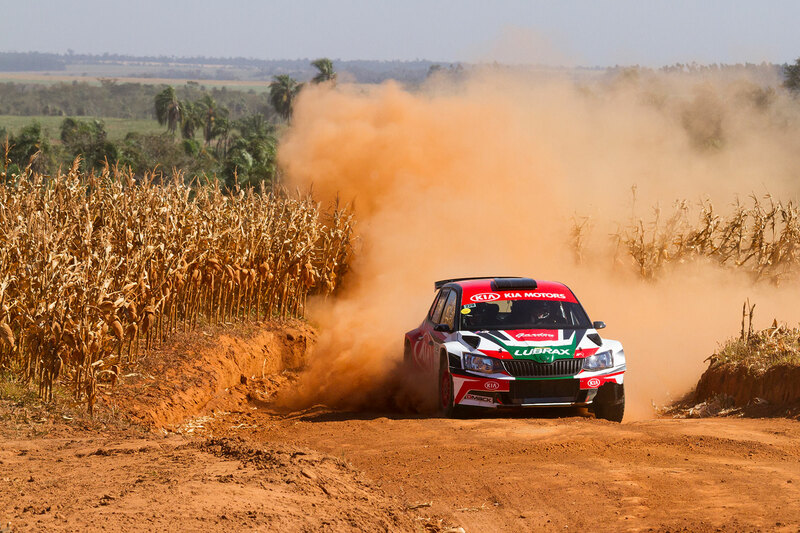 Saba, who was also supported by an Argentinian co-driver Fernando Mussano, suffered damper problems on the opening leg, which cost them 55 seconds and the lead. But they recovered in the second leg to win all six special stages of the day but were not quite able to reel Weiler in. Nevertheless, Saba secured an important second place finish and claimed more vital championship points to extend his lead. Completing the all-ŠKODA podium in third place was the FABIA R5 of Miguel "Miki" Zaldivar / Edgardo Galindo (also from Argentina!). They finished 1 minute and 9 seconds further back for their third podium finish of the season. 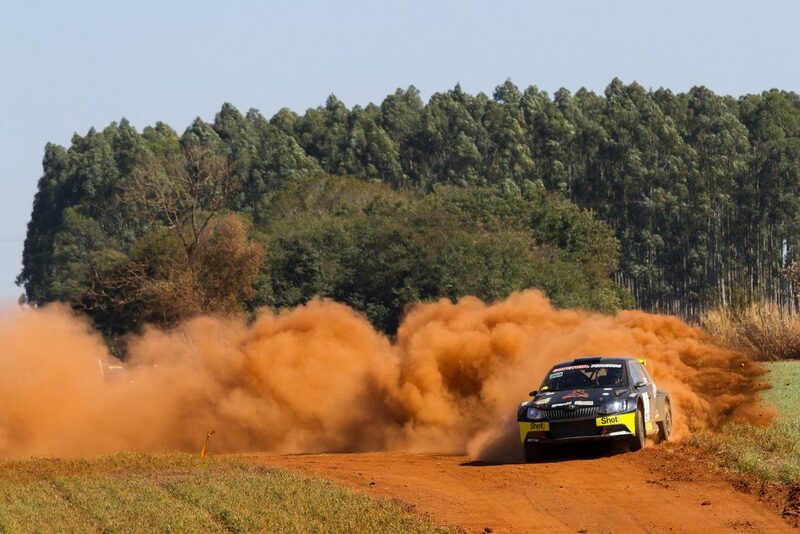 The result helped them move ahead of Augusto Bestard into second place in the championship standings. 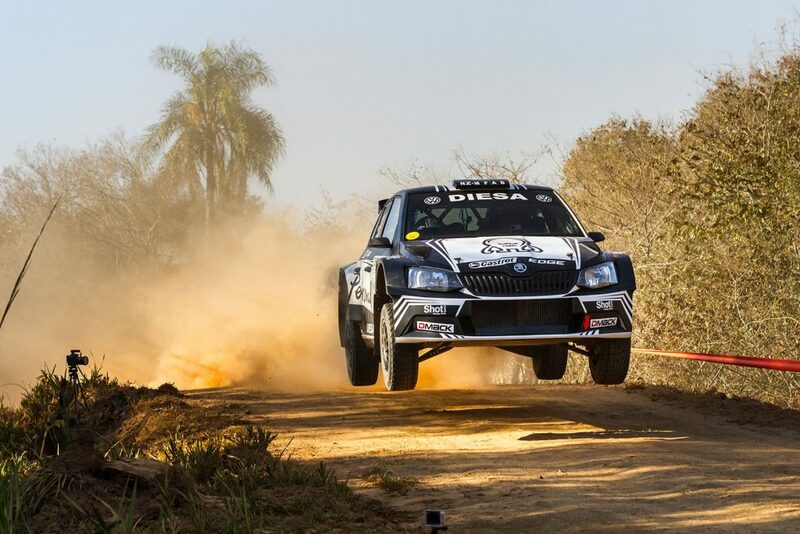 Further down the field, Pedro Fadul / Hans Thiede finished in seventh place in their FABIA R5, while Didier Arias / Hector Nunes finished in eleventh place. The next round of the Paraguayan Rally Championship will be the Rally Cordillera which starts on the 13th August. 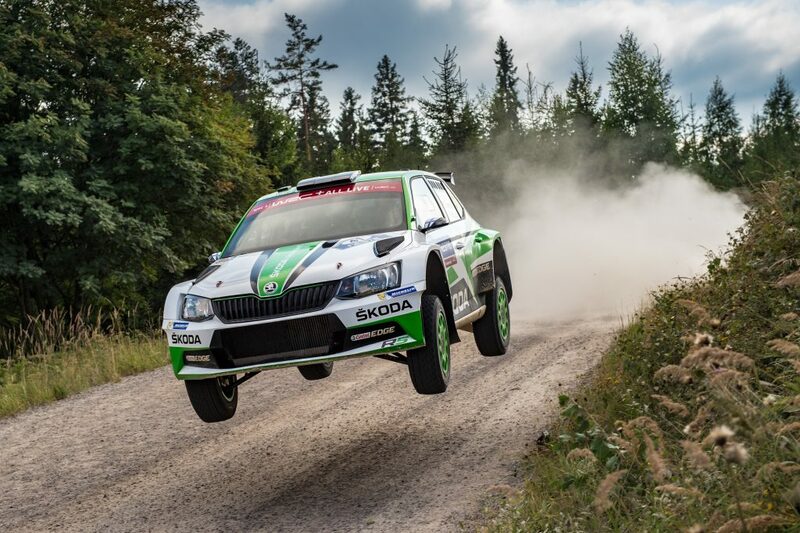 There was a One-Two result for FABIA R5 drivers in the WRC2 Championship at the Rally Finland (27th to 30th July). 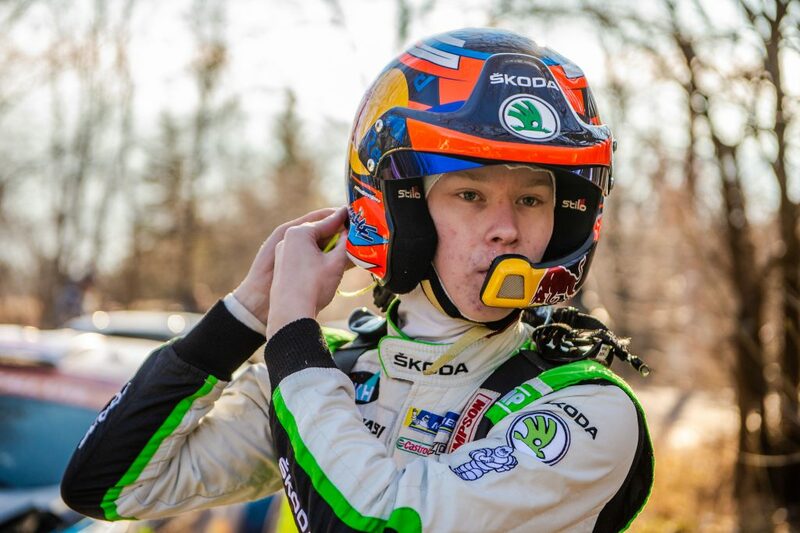 Young Finnish driver Jari Huttonen won alongside co-driver Antti Linnaketo for the Printsport Oy team, in what was just his second drive in a 4WD car and his first WRC event with this car. 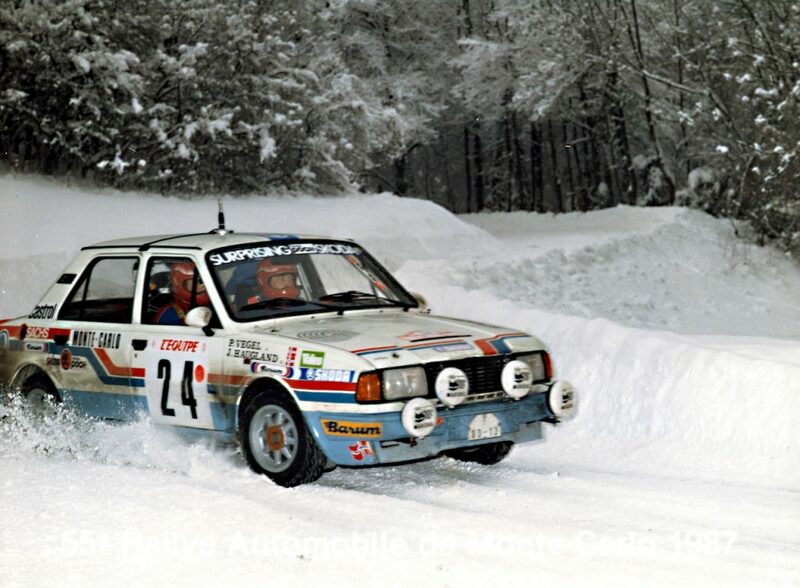 Frenchman Quentin Gilbert and co-driver Renaud Jamoul came home in second place. 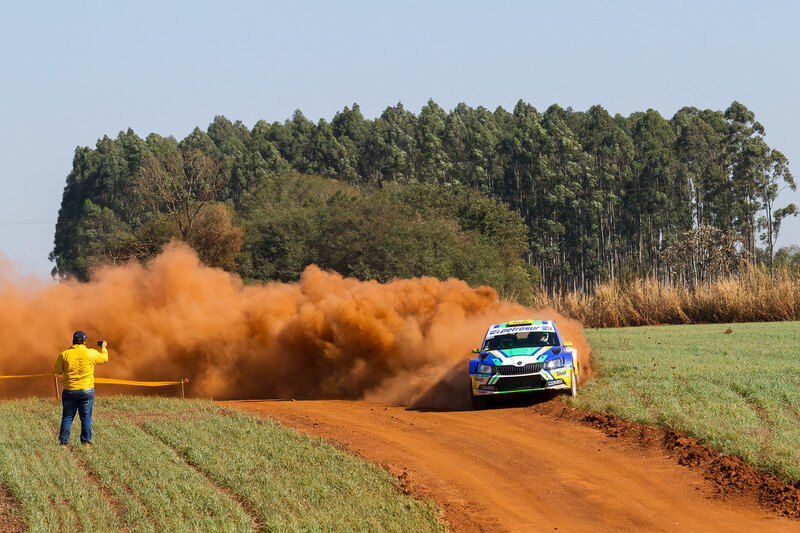 Read more in our rally review article. There was another FABIA R5 One-Two result in Northern Ireland at the Tyrone Stages Rally (29th July). In an event which is used by many as preparation for the next round of the British Rally Championship, the Ulster Rally, Desi Henry / Liam Moynihan took the win by a margin of just 12.6 seconds from fellow FABIA R5 crew of Martin McCormack / Barney Mitchell. 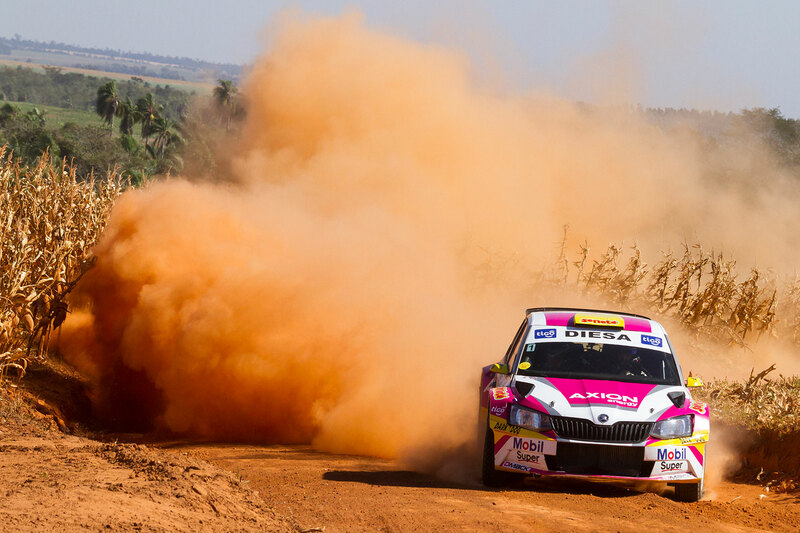 There were no fewer than six ŠKODAs inside the top 10 at the Rally Pačejov (29th July) in the Czech Rallysprint Series. 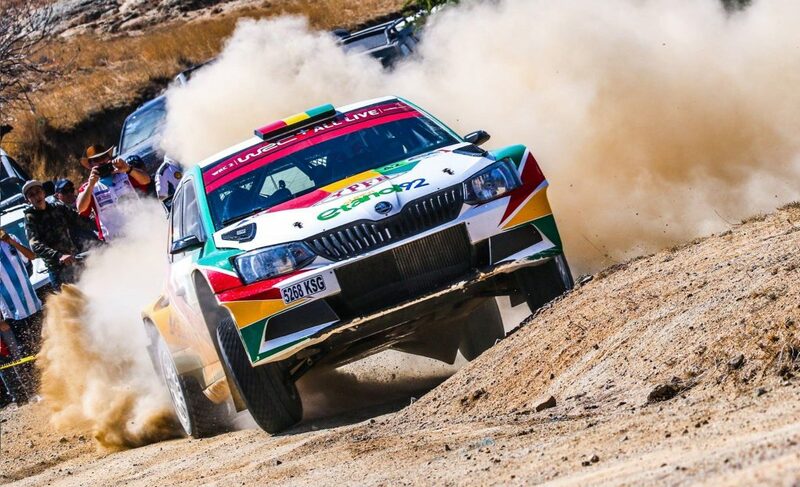 Jaromír Tarabus / Daniel Trunkát finished second overall in their FABIA R5, with only a WRC class car ahead of them. Also on the podium in third place was the Styllex Motorsport car of Martin Koči / Filip Schovánek. Jan Sýkora / Štěpán Palivec came home in sixth place in their FABIA R5, with Matthias Kahle / Christian Doerr one place behind in seventh. Karel Trněný / Václav Pritzl claimed eighth place in a FABIA WRC, while the TNT Počernice FABIA R5 of Patrik Rujbr / Veronika Římalová was tenth. 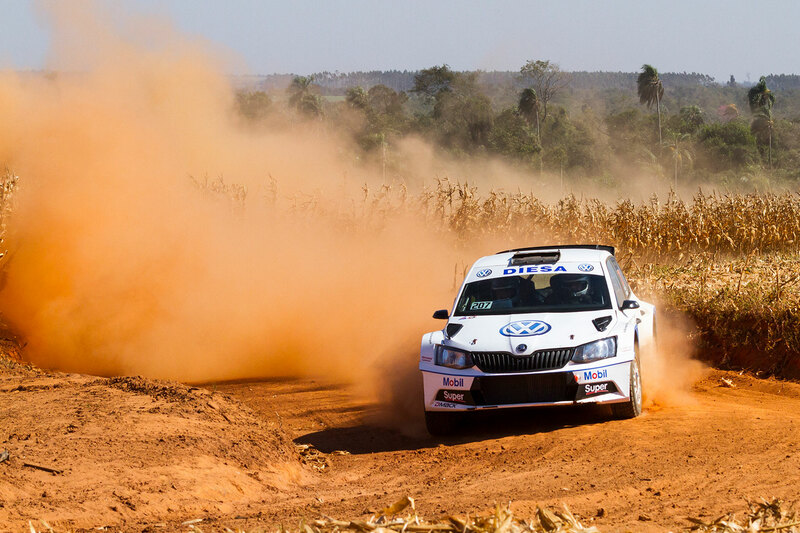 The Rallye National de la Plaine (28th to 29th July) was a French Cup event and proved to be a memorable debut drive in a FABIA R5 for Thierry Chkondali. 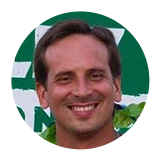 Alongside co-driver Sébastien Raviot, he finished in second place, 40 seconds behind the overall winner.